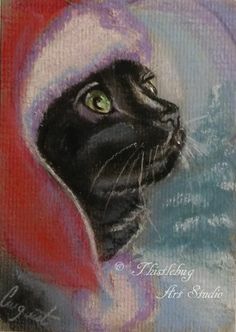 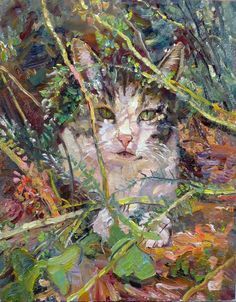 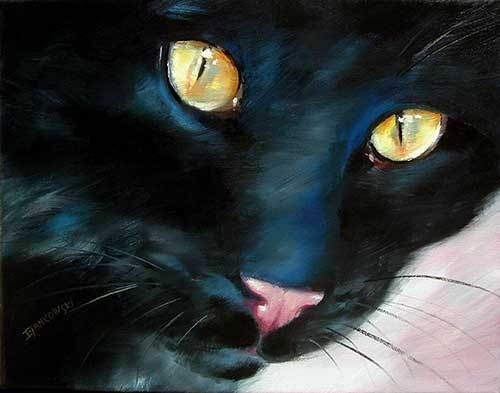 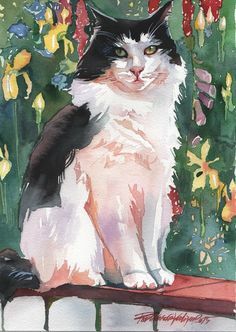 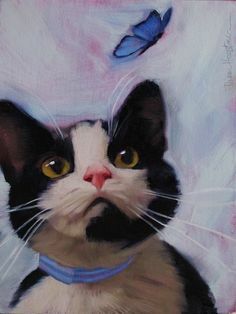 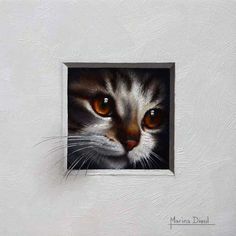 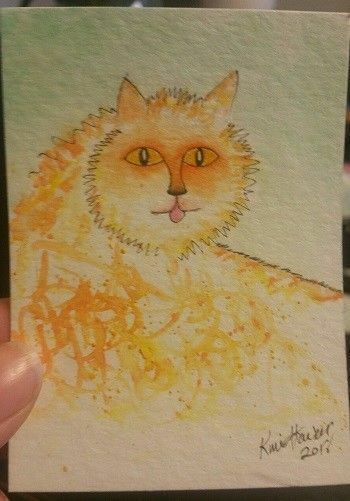 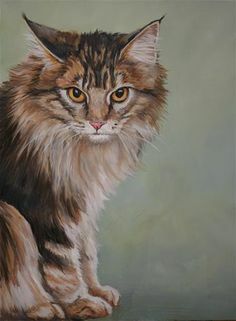 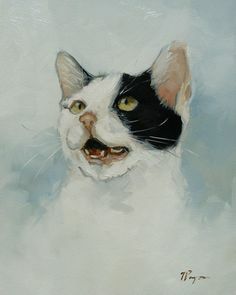 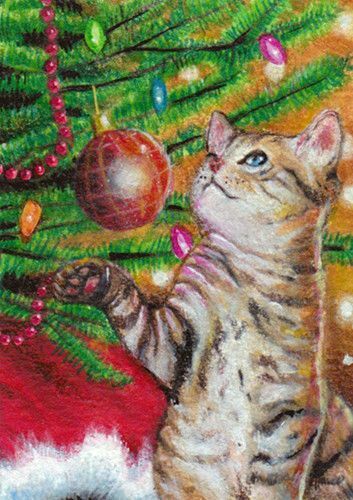 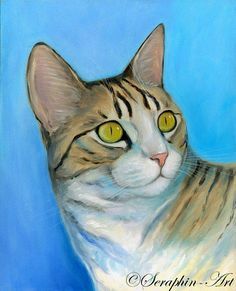 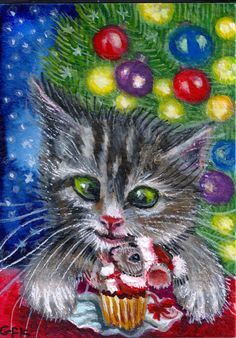 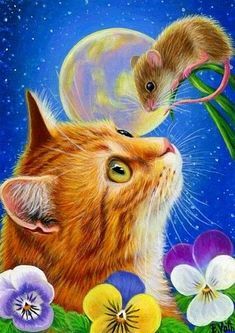 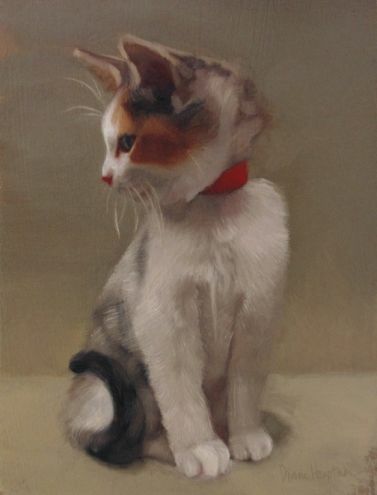 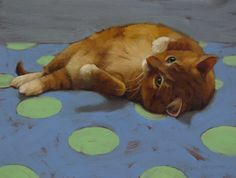 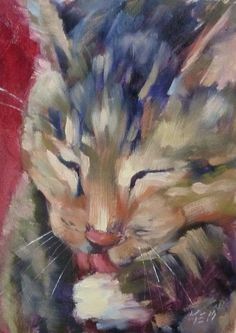 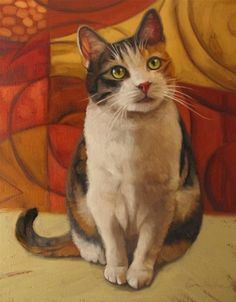 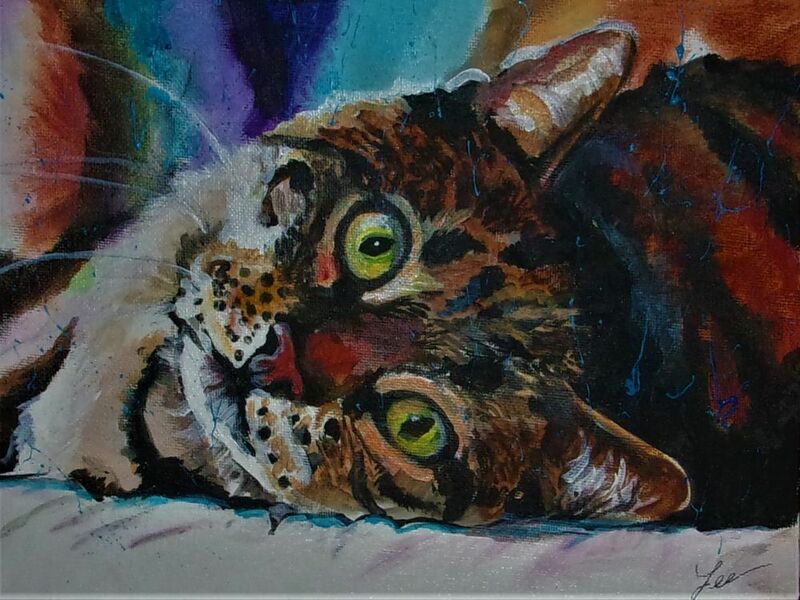 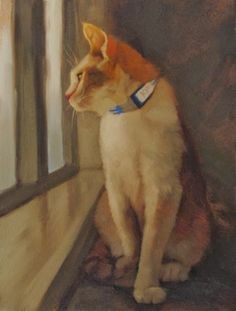 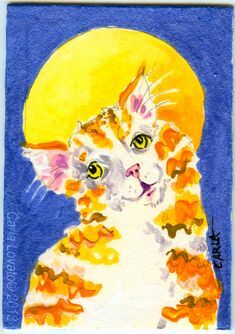 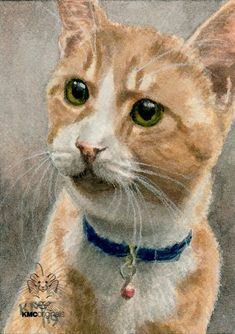 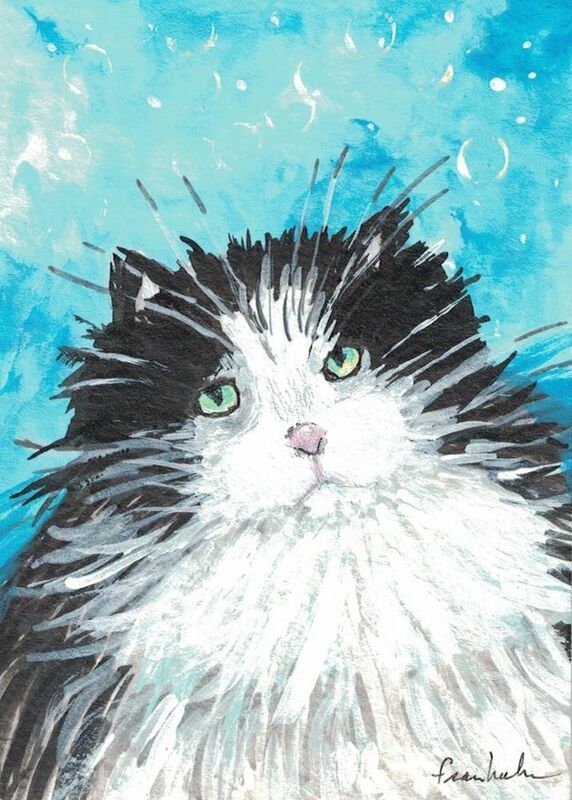 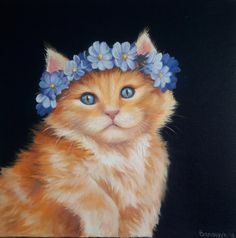 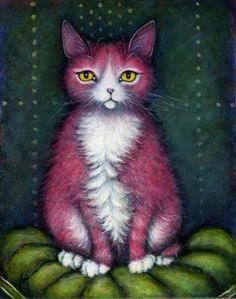 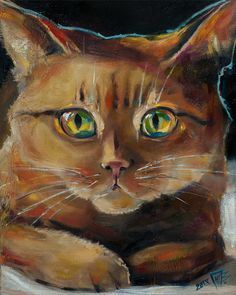 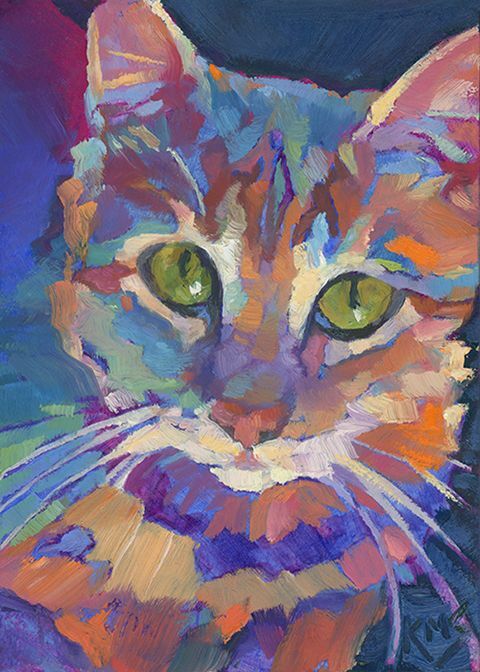 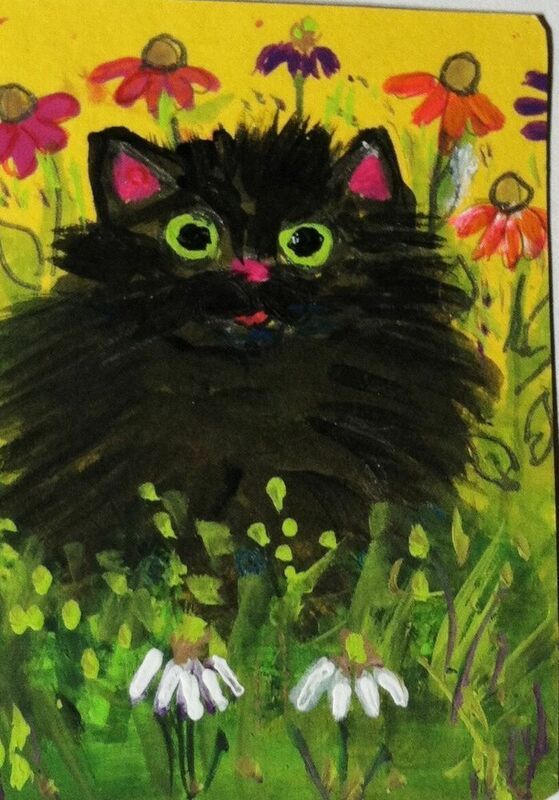 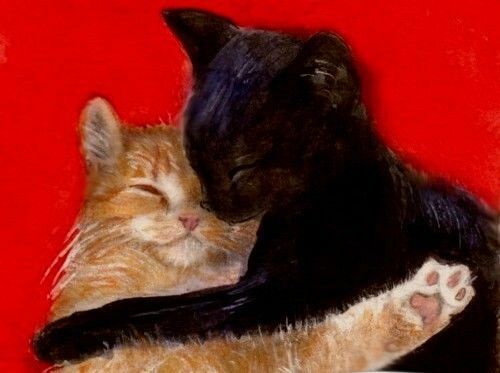 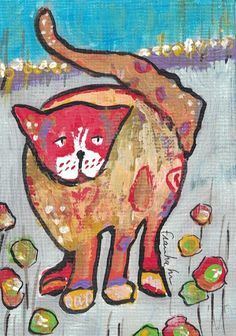 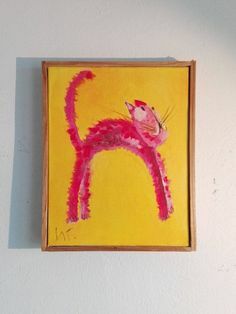 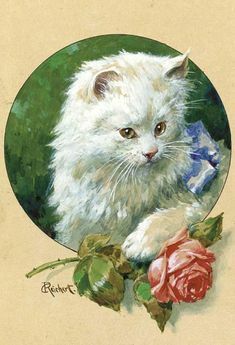 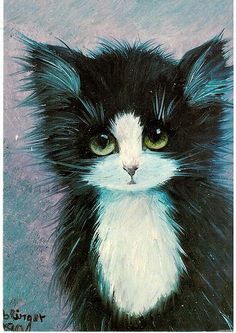 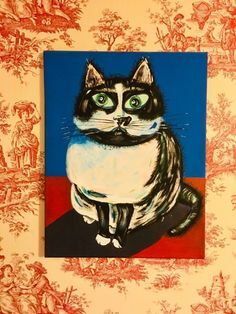 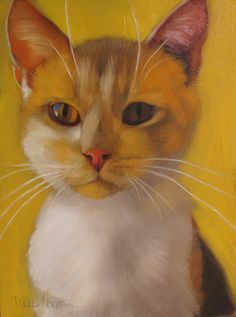 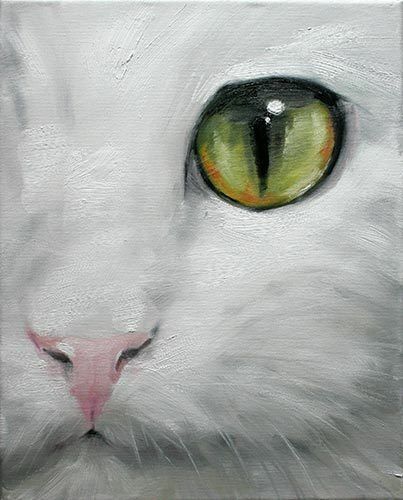 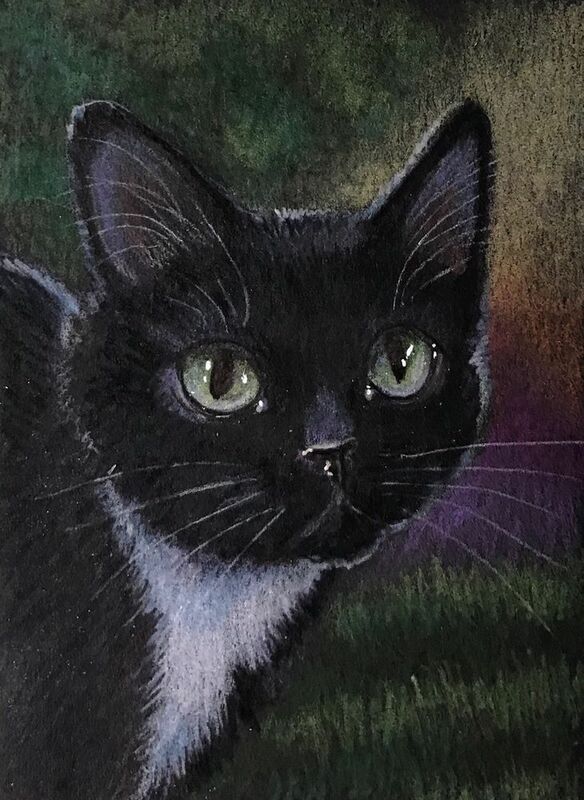 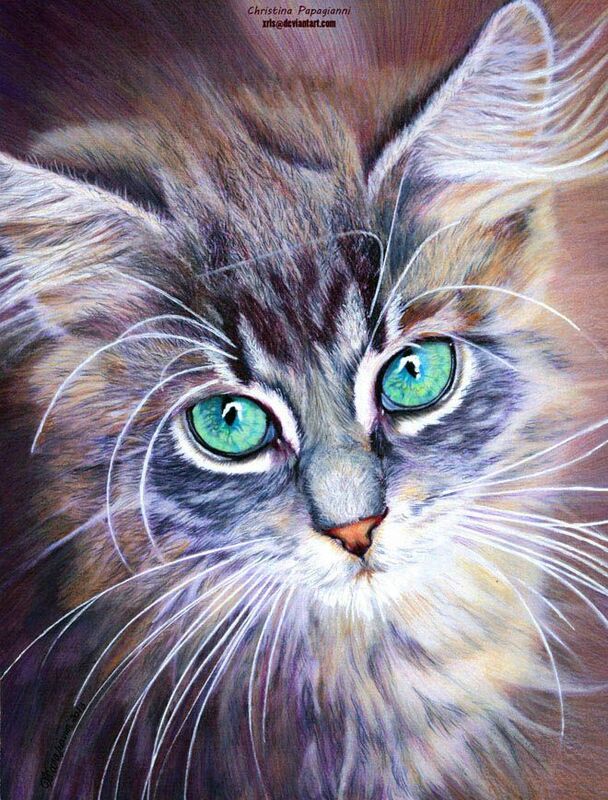 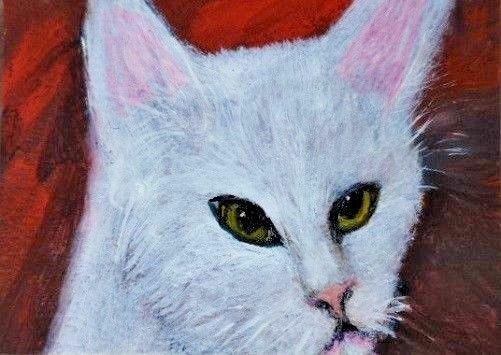 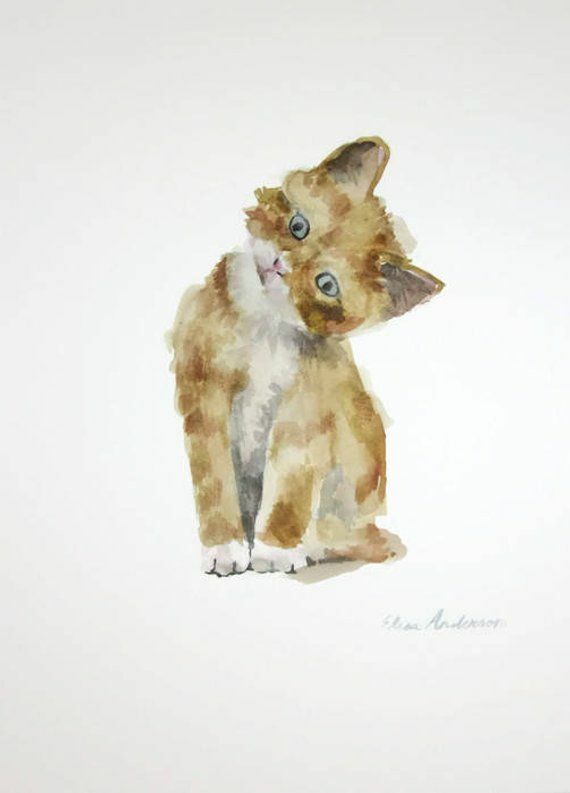 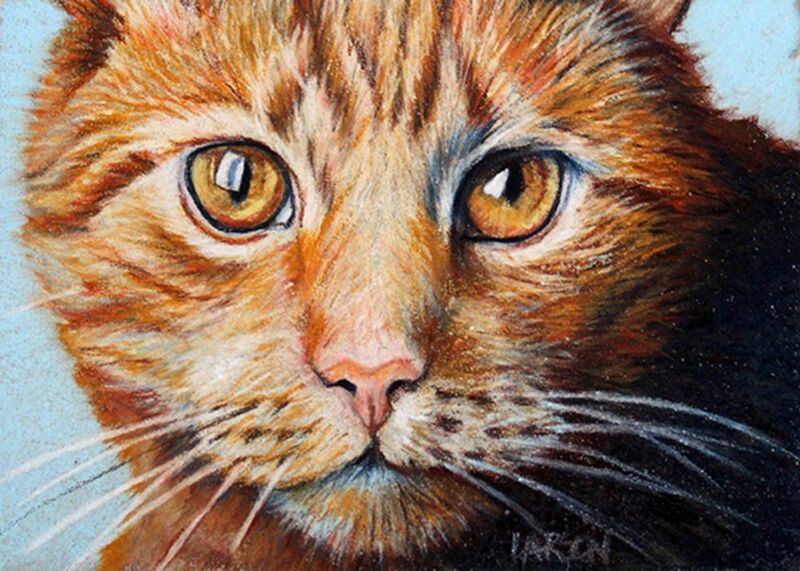 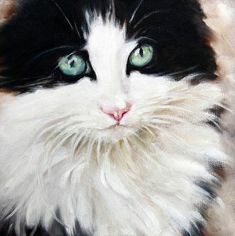 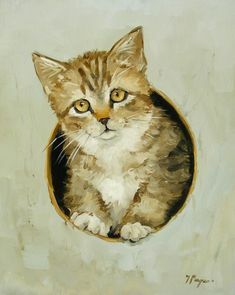 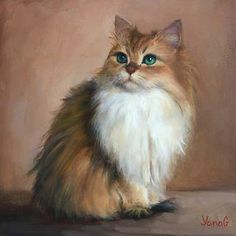 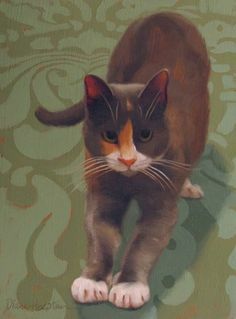 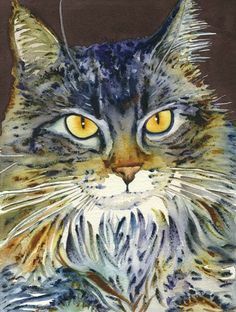 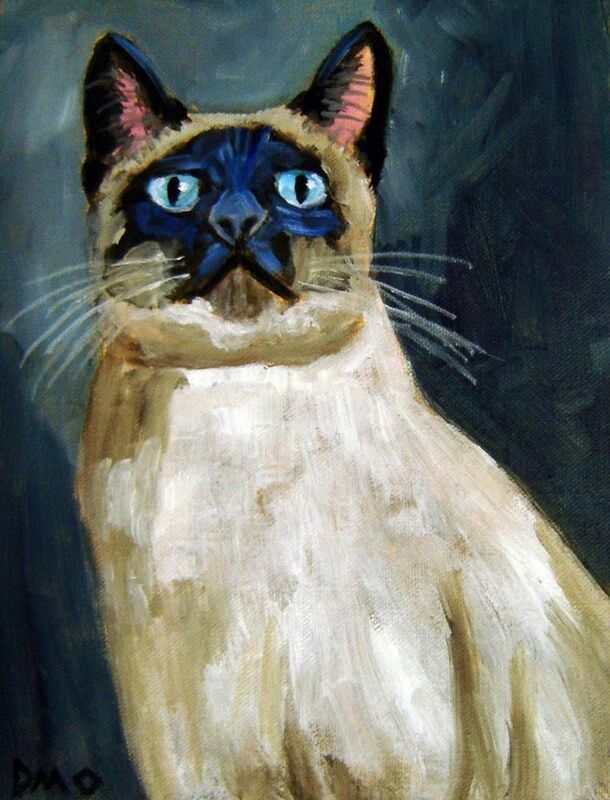 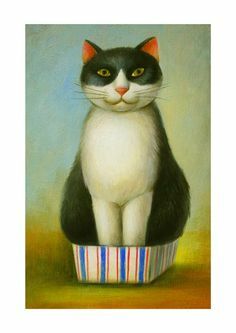 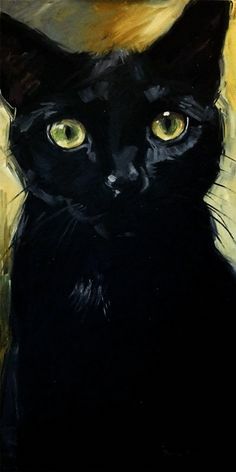 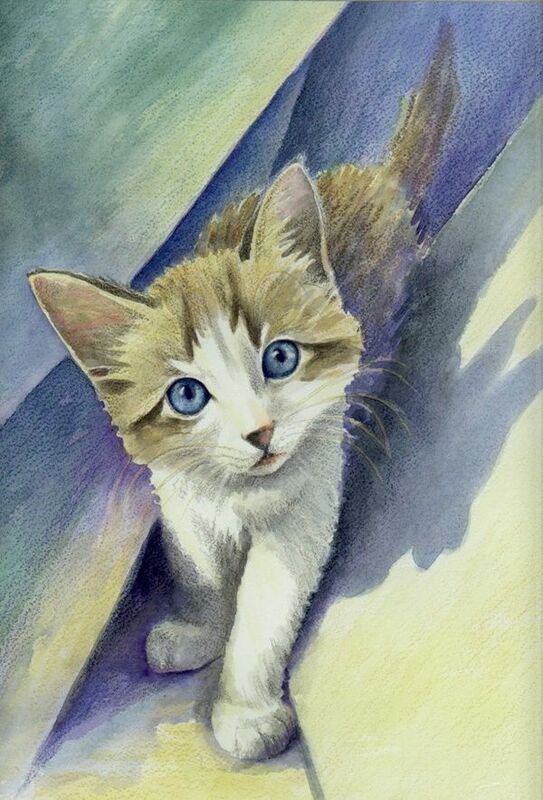 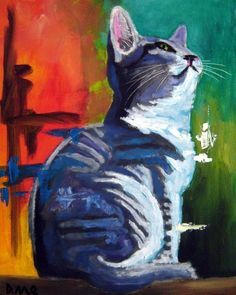 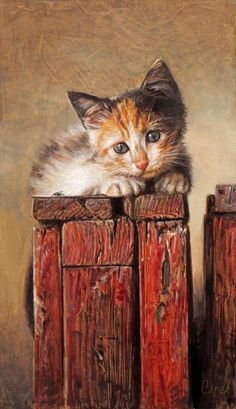 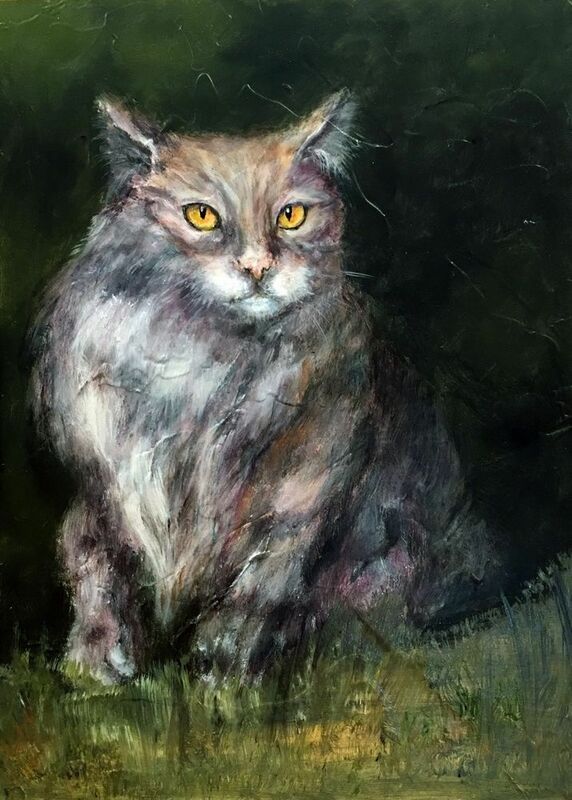 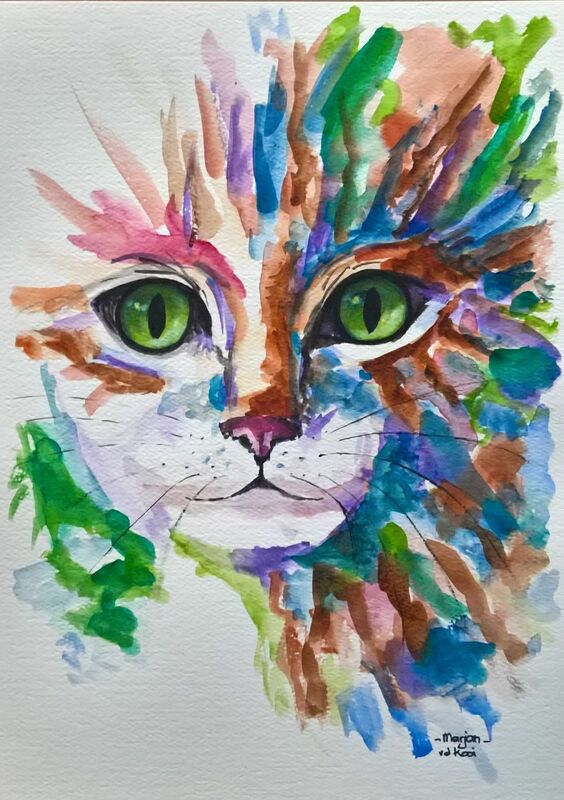 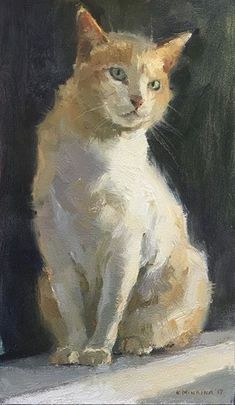 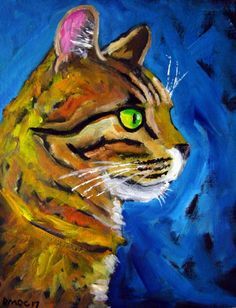 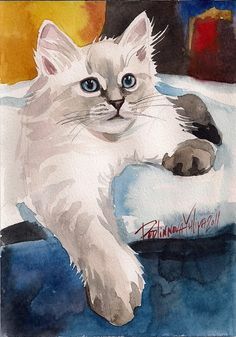 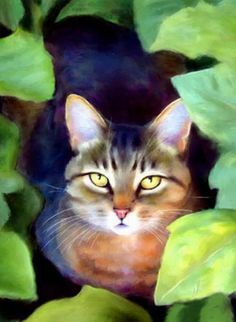 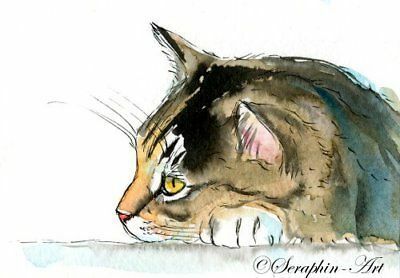 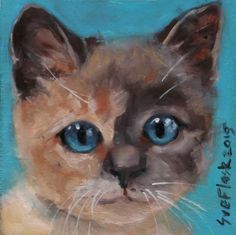 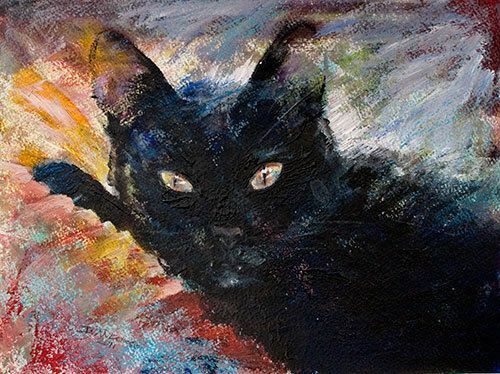 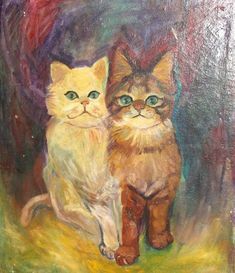 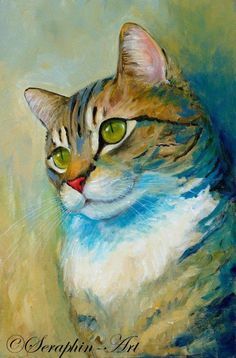 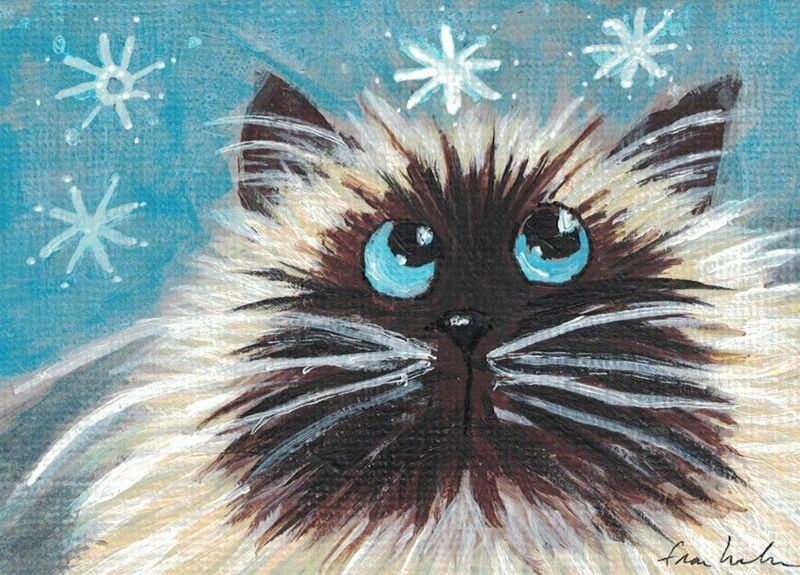 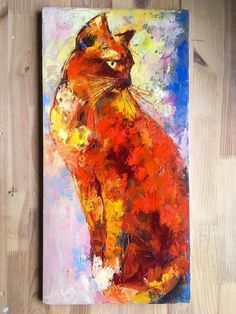 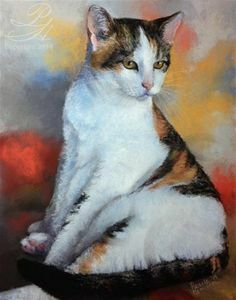 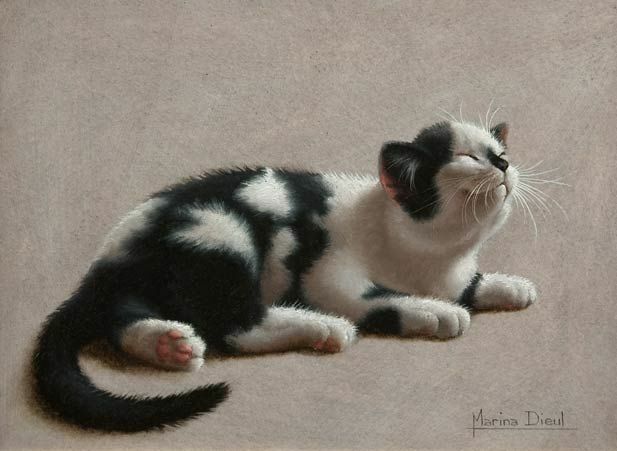 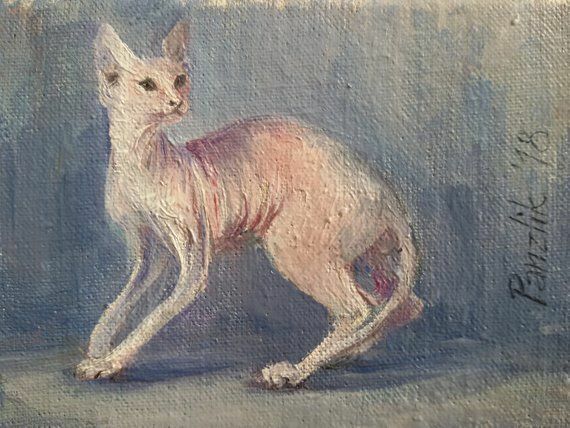 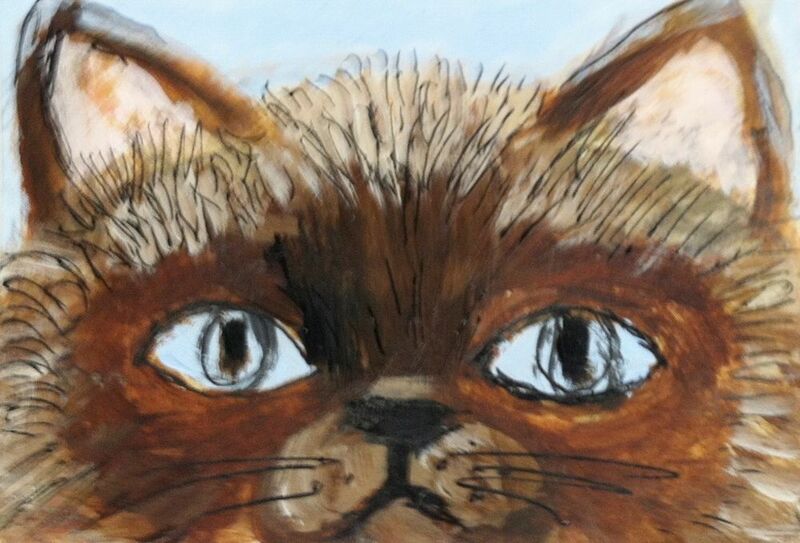 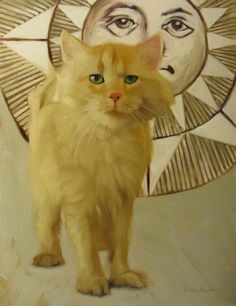 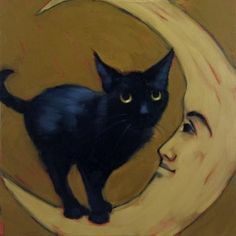 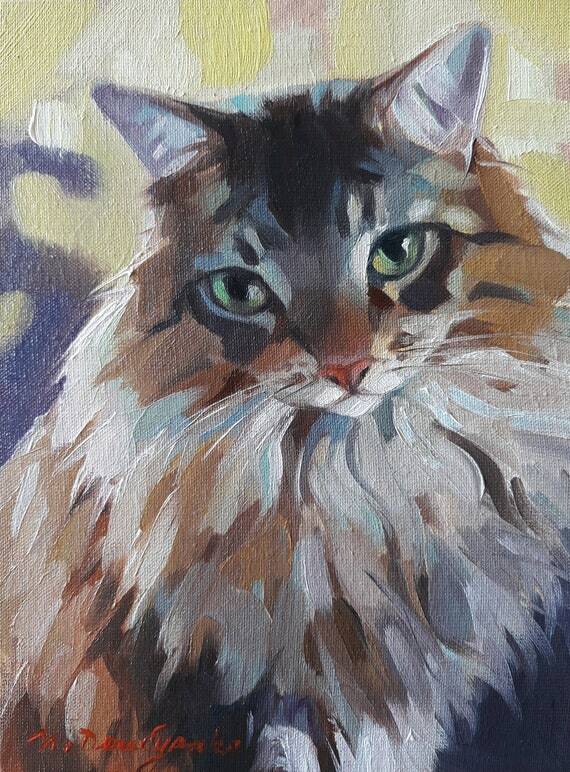 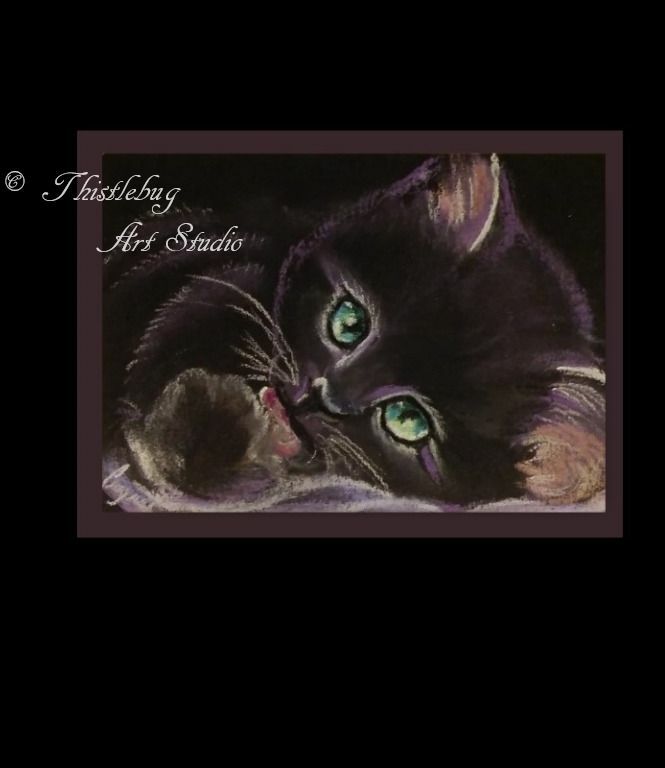 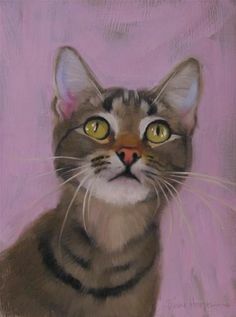 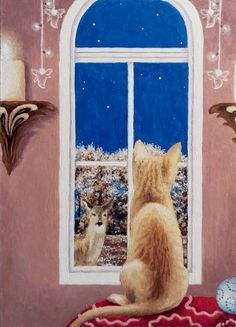 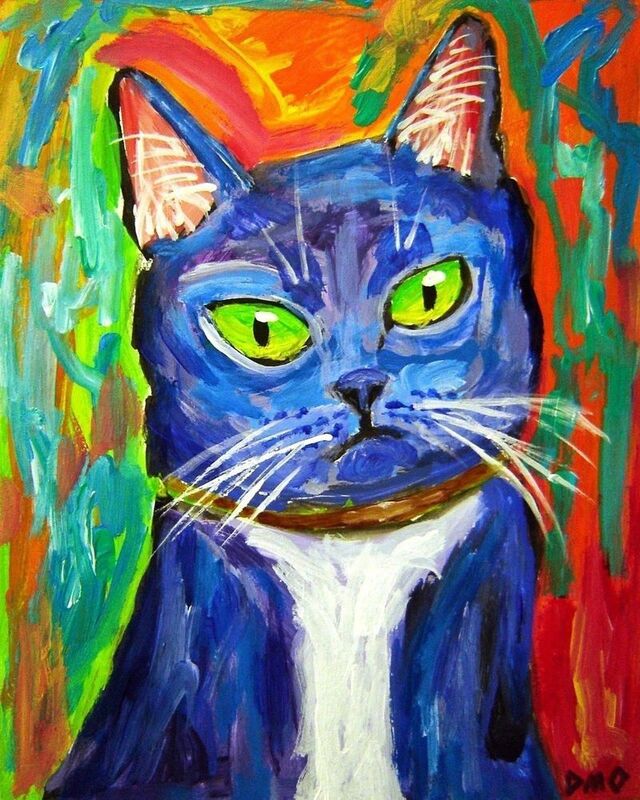 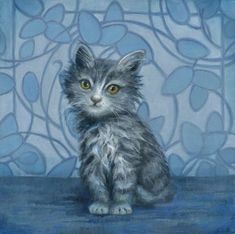 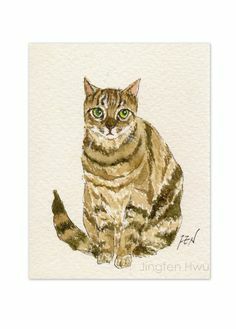 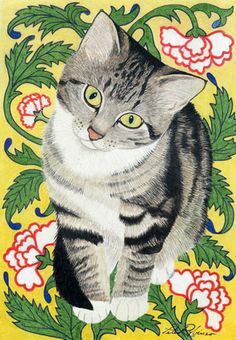 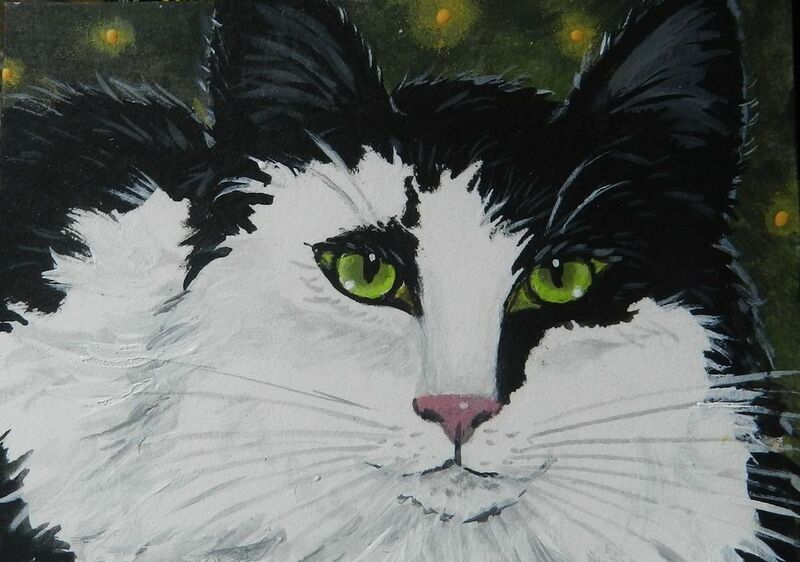 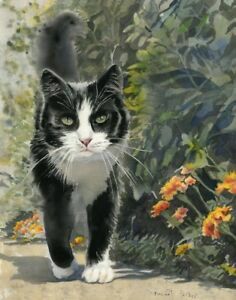 Postcrossing NL-1627652 - Cute cat card of original oil painting by Renate Koblinger. 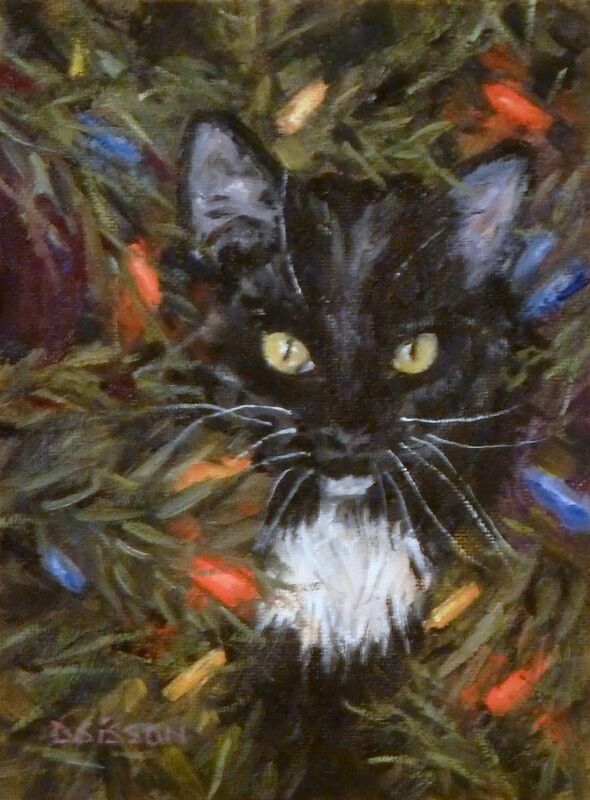 Janet Greco, “Jingle in the Jungle” revisited. 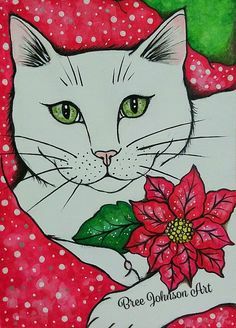 Jingle hanging out in the garden. 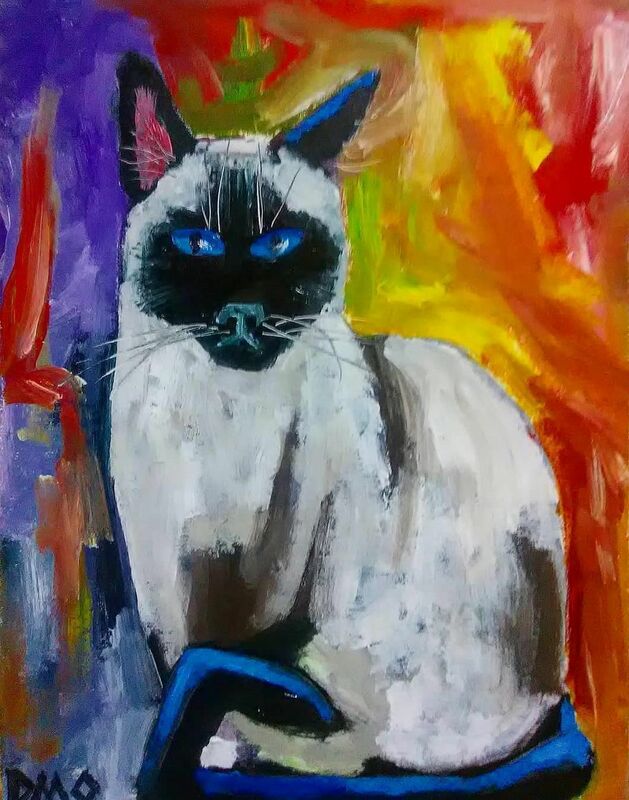 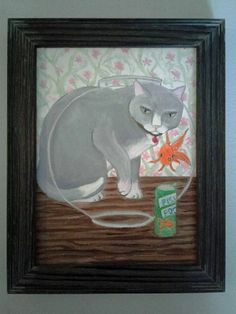 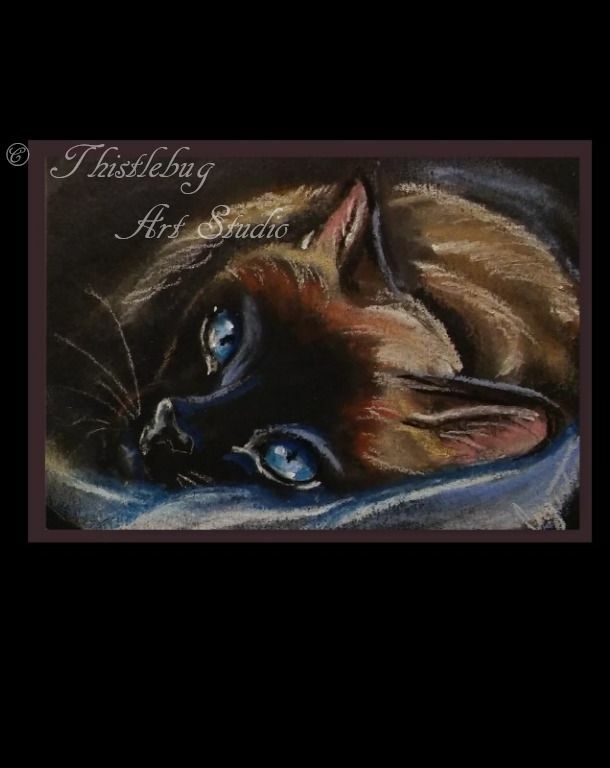 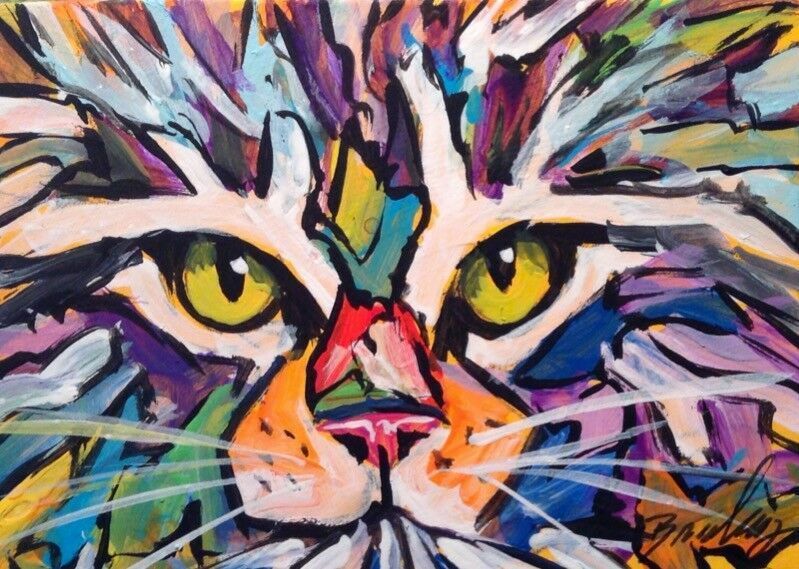 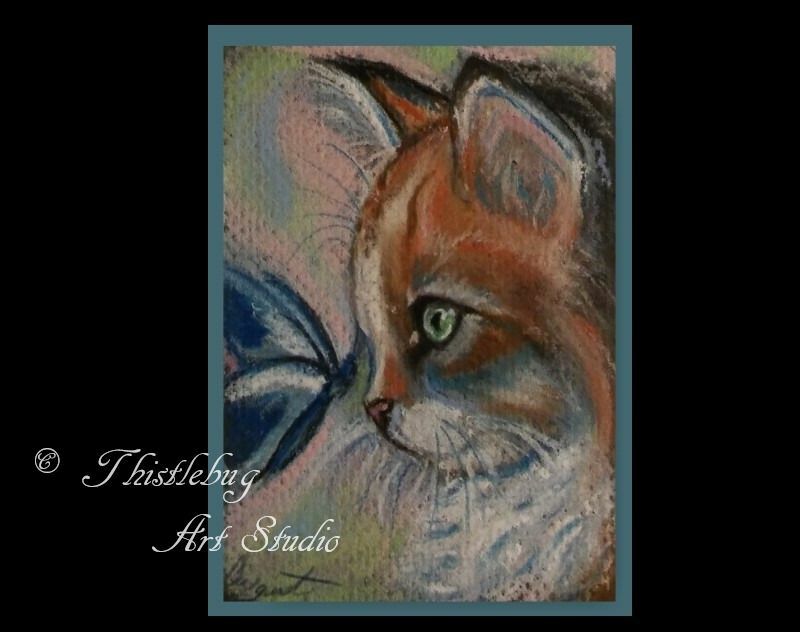 Whimsical Gray Cat and Goldfish Bowl Oil Painting Whimsical Cat Series Framed 6"X 8" Canvas Board Gray Frame 7.6" X 9.6"
Daily Painters of Arkansas - Contemporary Fine Art International: Christmas Tree Cat Debra Sisson Oil Painting Cat Art Pet Portrait Holidays. 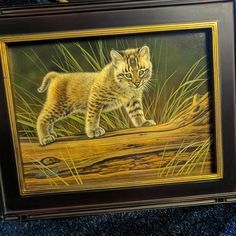 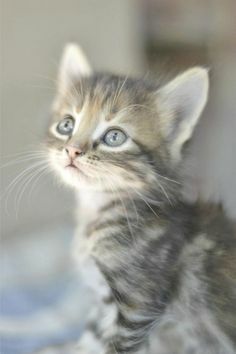 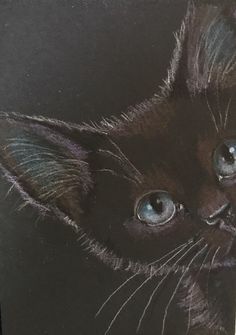 Kitten. 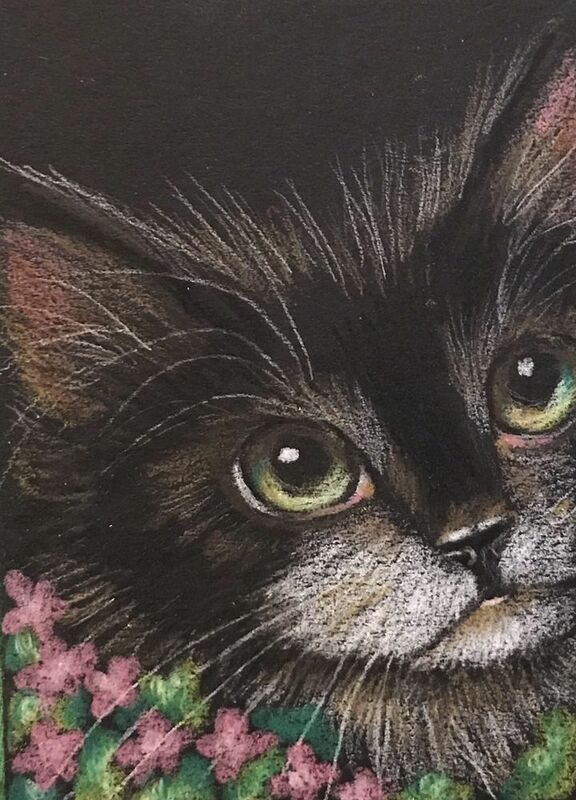 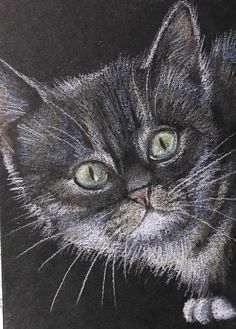 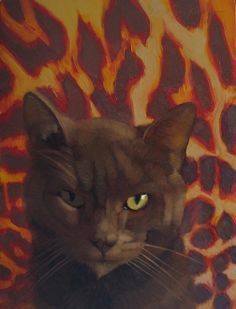 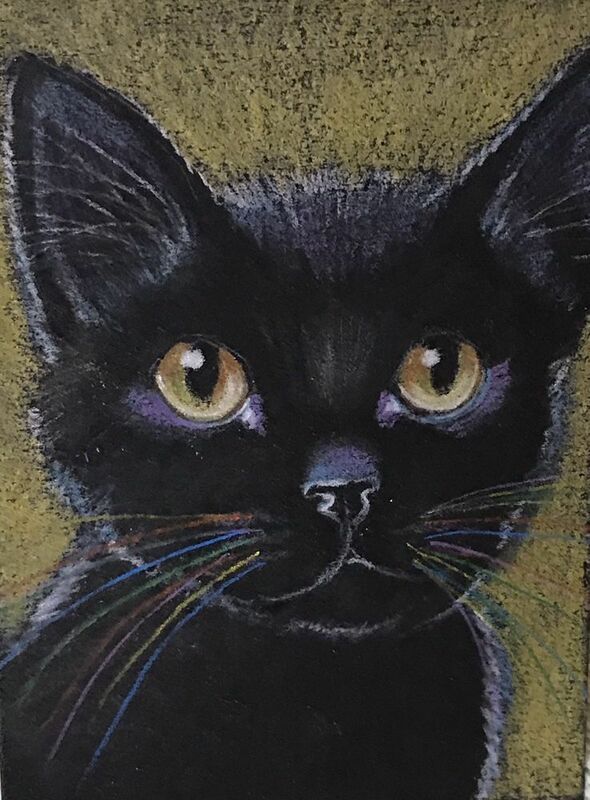 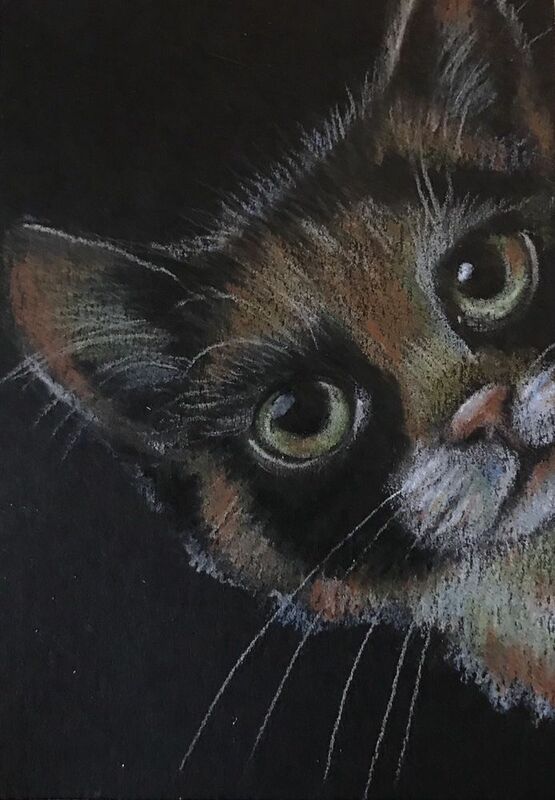 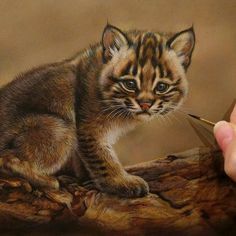 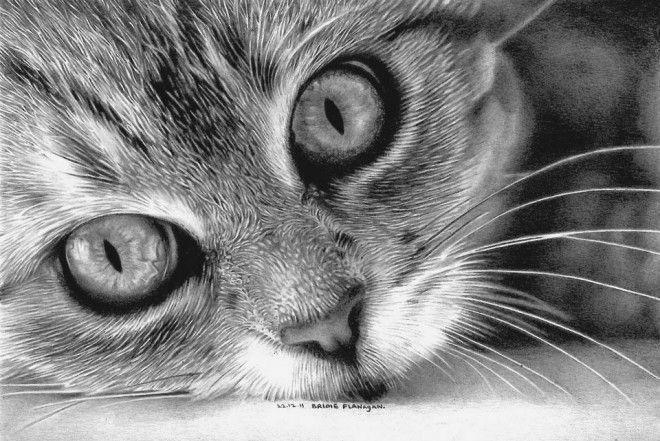 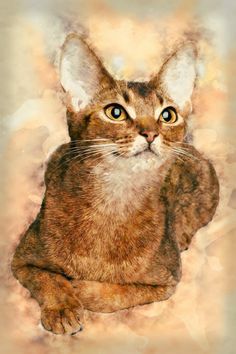 Realistic Color Pencil Animal Drawings. 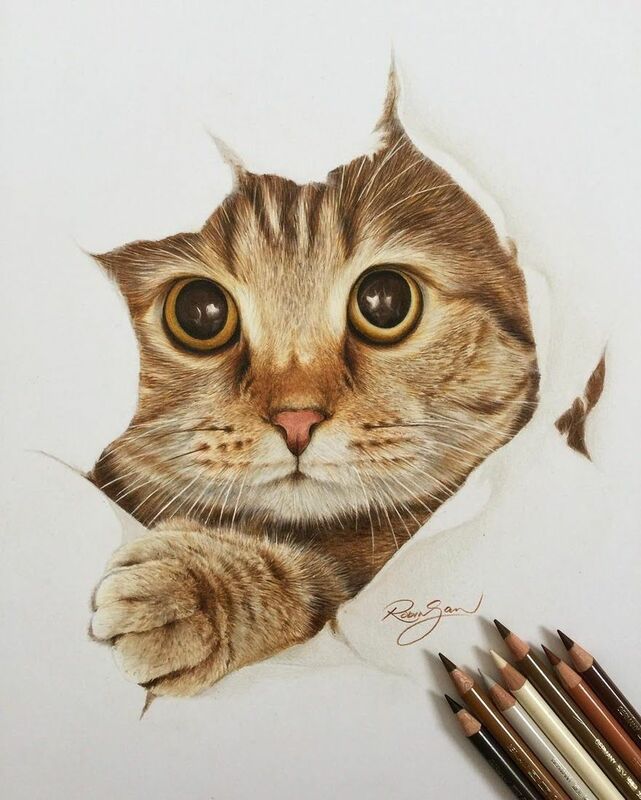 By Robin Gan.